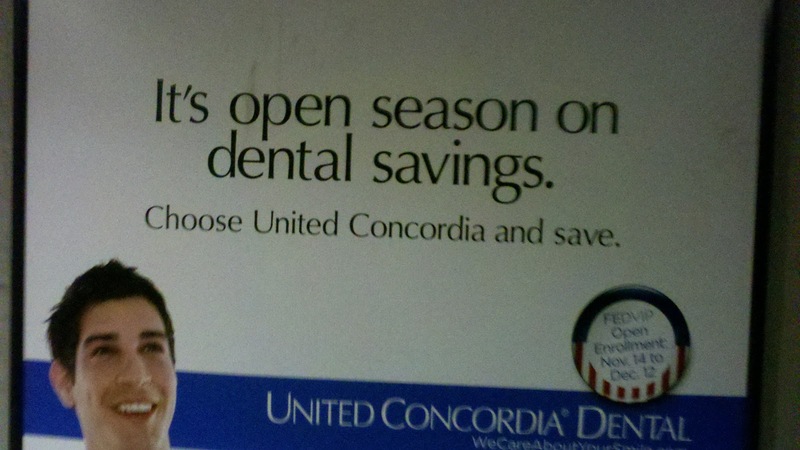 I take the Metro to work each day in Washington, D.C., and as I ascend toward ground level at the Verizon Center, I’ve been passing an advertisement for United Concordia about the savings you can get from its dental plans. Presumably, it’s also open-enrollment season. Thus, you’d think, there could be a way to use “open season” in a clever way to promote the savings potential of this company. On the bright side, at least “it’s” is used correctly.